Flowers spray carnations, chrysanths, gerbera, foliage inc eucalyptus, wax. 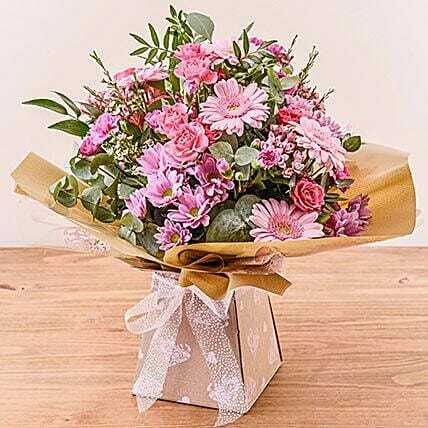 Arrangement style: Handtied in water presented in a gift box/castle. Colour scheme pinks.